The paradox of Gold glittered this week and made me a bit wiser. 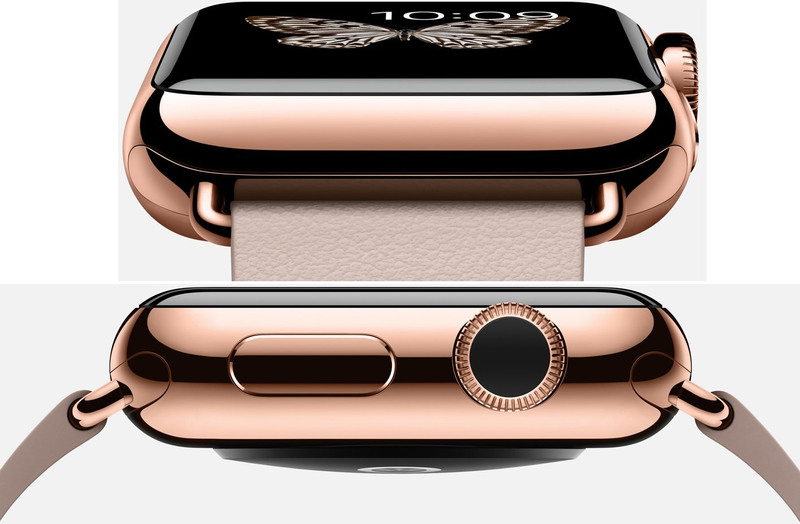 Apple launched what it called a ‘uniquely luxurious’ Gold Edition Watch priced at $17,000 and allured its customers to the sheen of the yellow metal. Also this week Gold prices witnessed its worst losing streak in more than 40 years with nine consecutive trading sessions of losses. I have been following and learning about Gold Market for about a year and want to share some of my learnings. The challenge was to find such companies and knowing what publicly available information / data-metric can help me identify such investment opportunities. There are three aspects to this investment strategy – Price, Value and Going Concern i.e. identify companies that have ‘Value’ higher than the listed ‘Price’ and also making sure they will profitably continue in business for a foreseeable future. I looked at companies that have positive Gross Margins, positive Operating Margins, positive Net Profit, Price to Book Value ratio of less than 1, health of Balance Sheet to realize assets etc. To my surprise I saw a lot of Gold Mining Companies that met these conditions. Many companies were listed for a price less than half of their book value. i.e. 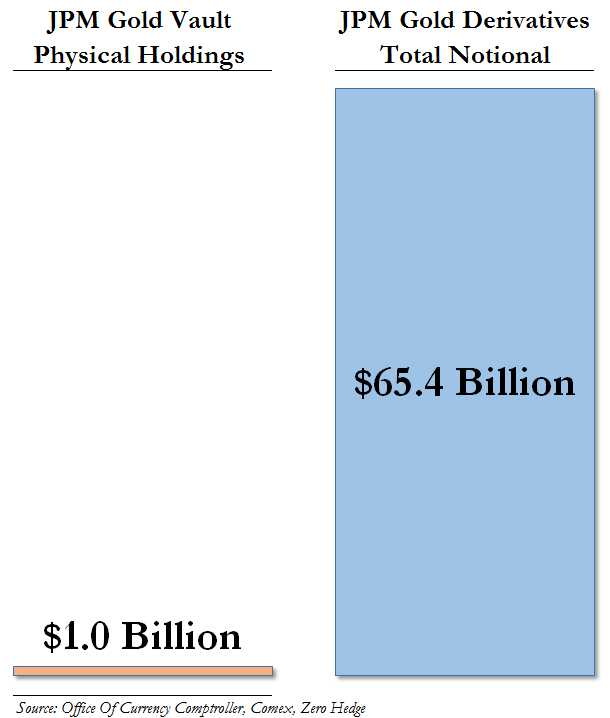 hypothetically if the companies were to go into bankruptcy, each share will get more money than what it is bought for. I shortlisted couple of companies and made a small investment. I kept track of these investments on a weekly basis and after couple of months, noted that there was very little change in the price of the stock. In fact I had lost about 5% of my investment value. To make sure I did not make a stupid decision, I looked at the fundamental aspect of the Gold Industry – Global Demand and Supply. Here are the statistics for 2013 and 2014. Having looked at this data I felt good that there is more demand for Gold than what is produced by the Mines and this in the long run should bring the price up. After couple more months, I lost a little more of my investment value. Then I looked at what is driving the demand. Here is what I found out. Again felt good to note that Jewellery is driving the highest demand for Gold and the size of the demand pie for Jewellery is increasing year over year validating the fact that there is no limit for human greed and public display of wealth. As long as poverty rates are going down and human population is growing up, this demand should continue. This was the time to practice some patience and wait for Gold price to rise. After couple more months, I again lost a bit more of my investment value (about 12% loss). Loss and failures are good teachers and I was highly motivated to understand the primary reason for the fall of Gold prices. After some research I learnt that the strength of US Dollar has an inverse relationship to the price of Gold as can be seen from the chart below. International Gold prices are listed in USD and as USD becomes stronger, local currencies have to pay more to buy Gold. This creates pressures in local markets and that has an adverse impact on the Demand and Supply economics. Also given the US Dollar strength reflects confidence in US Economy, investors prefer to invest in US based stocks and bonds and on top of this when the Federal Reserve increases the interest rates on Government / Treasury Bonds, it also becomes a preferred destination for parking surplus funds. All these more profitable options take away investments from Gold and other non-productive assets. 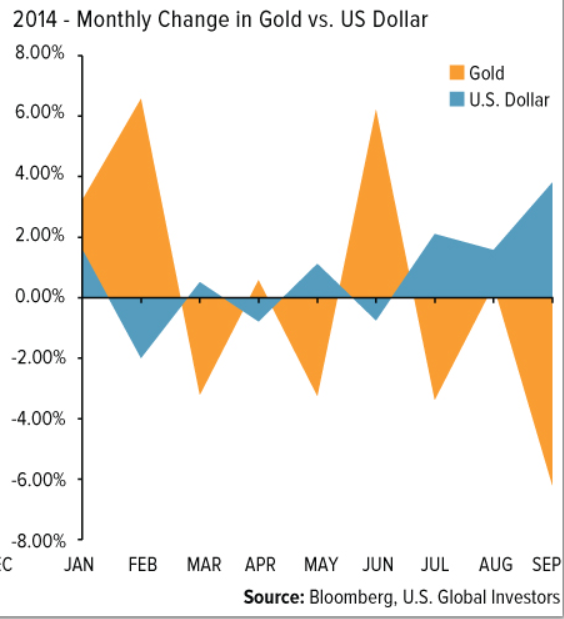 However lower confidence in US Economy and ‘Fear’ about impending financial crisis drive funds out of the Economy into Gold and that drives the prices up. 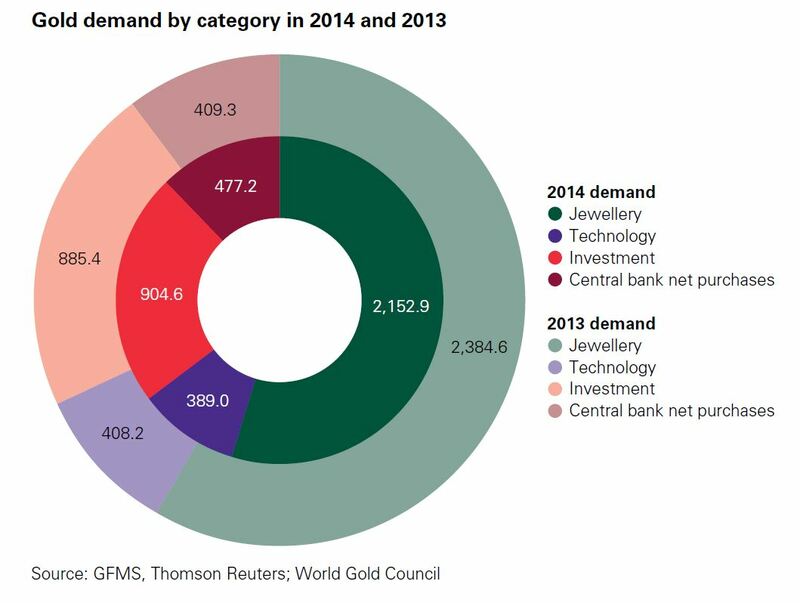 Wait a second, let us look at the above Gold demand pie again, demand for Gold as an investment option is significantly small compared to the large Jewellery market. Having lived in a culture that heavily consumes Gold, I know demand for Jewellery is more driven by festivals, customs and weddings and less by alternative profitable investment options. Something is wrong in how it is explained. 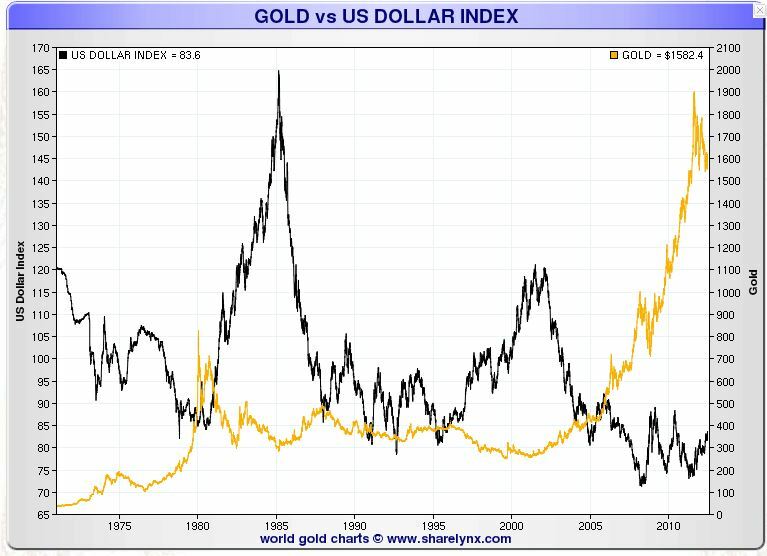 I took a look at a longer term history of Gold price and US Dollar. Above is the USD vs. Gold from 1970 to 2013. Let us pick 1980, the USD was 85, Gold was at $800. In the early 90s, the USD was again around 85, Gold was $400. While not shown on the chart in 2013, the USD was at 85, Gold was at $1,200. So we have had Gold at $200, $400, $800, and $1,200 while the USD was at 85. The explanation that Gold and US Dollar have inverse relationship does not hold up in the long-term view. 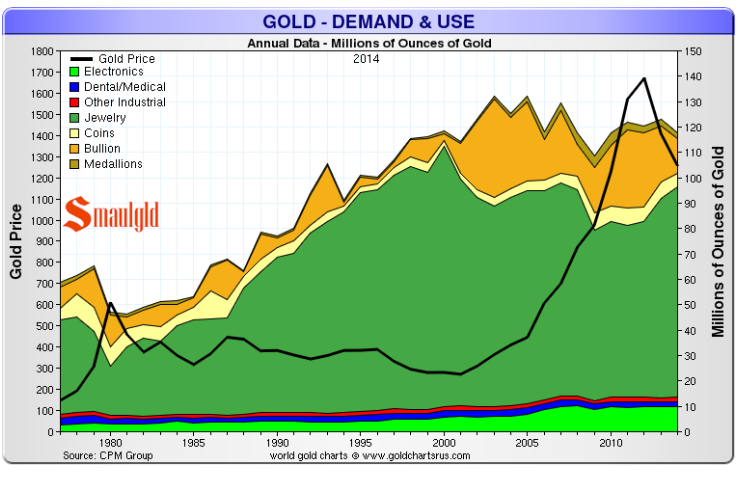 Let us also take a look at the fundamental Demand and Supply dynamics on the price of Gold. Historically the Demand for Gold was always more than the Supply from Mines. The Market for Gold is not only for Gold. What is actually traded is not Gold but a concept called ‘Paper Gold’ or ‘Derivative Market Gold’. Look at the example below of what is actually traded by this trading house. Real Gold or physical Gold constitutes an insignificant part of the Gold market. The price of the Gold is not based on the Demand and Supply for real Gold (which is just 2% of the size of the market). Any explanation to rationalize the price of Gold would just be based on some Hindsight Bias and nothing more. Napoleon Hill once said – “More Gold has been mined from the mind of men than the earth itself”. Gold price determination is a game of the mind and not the game of the mines. All I know is human ‘Greed’ drives the price down; ‘Culture’ keeps the value of Gold intact and ‘Fear’ drive prices up. We as humans beings have the cycles of these emotions / feelings all the time. “You should imagine market quotations as coming from a remarkably accommodating fellow named Mr. Market who is your partner in a private business. Without fail, Mr. Market appears daily and names a price at which he will either buy your interest or sell you his. As of today my investment in Gold stocks are down 18% and I am waiting for Mr. Market to come to me with a higher price. I guess I’ll keep ignoring him for a long time. Hope the exquisite and ‘uniquely luxurious’ Gold time piece Apple has launched makes you fall in love with Gold, pay a whole lot more than what it is really worth and wonder at the paradox of what you actually paid for. ← Do you Ride the Elephant or the Elephant Rides you?